If you have a question about buying corporate bonds along the way, feel free to leave a comment at the bottom of the lesson itself, or in our ask a question forum which you can find here. Lesson 1: Why Buying Bonds is not Like Buying Stocks – Unlike the stock market the bond market is an over the counter market. This has significant implications for the way that bonds are traded. Let us show you what you need to know to avoid being ripped off when buying bonds. Lesson 2: Using Credit Spreads to Determine Relative Valuation – Corporate bond credit spreads fluctuate based on economic conditions and other factors. An understanding of how credit spreads move can give you an edge over other investors. As a bonus it can also help you predict what may happen in the broader economy going forward. Lesson 3: Bond Covenants – What They Are, Why They Are Important, and How to Use Them – How the terms and conditions of a bond are structured has a significant impact on the value of the bond. Let us show you a process for determining when to jump and when to run. Lesson 4: Callable Bonds – What They are and How They Work – Many corporate bonds can be bought back by the issuer prior to maturity. This is generally a negative for the bond holder and something that all bond investors should be aware of. Lesson 5: How to Use Corporate Bond Credit Ratings in Your Investment Decisions – Many investors understand that a bond with a B rating has more credit risk than a bond with an A rating. The real question however is what is the difference in the likelihood of default between these two bonds. Find out in this lesson. Lesson 6: Junk Bonds – How to Analyze, Compare, and Buy High Yield Bonds – We recommend that most investors stay away from buying individual junk bonds. However, if you do want to investigate the matter further here is a large lesson on the topic. Lesson 7: What Happens When a Corporate Bond Defaults – If you are holding a bond and it defaults that doesn’t necessarily mean that you are not going to get a large portion of your money back. Learn why in this lesson. Lesson 8: How Read a Bond Quote Like A Professional Bond Trader – Before placing your first bond trade you will obviously need to know how to read a bond quote. Find out in this lesson. 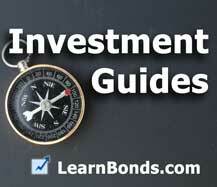 Lesson 9: Where to Find Corporate Bond Prices – There are several places that provide free delayed bond prices. We list them in this lesson and show you how to use them. Lesson 10: How to Choose a Corporate Bond for Income – We recommend that most investors who buy individual bonds should hold them until maturity. This way you know exactly how much money you are going to get and when, absent a default. Let us show you a step by step process for picking an individual bond to buy. Lesson 11: How to Buy a Corporate Bond – Once you have found the bond you want to buy, you’ll need to understand how to place an electronic bond trade, which is the topic of this lesson.